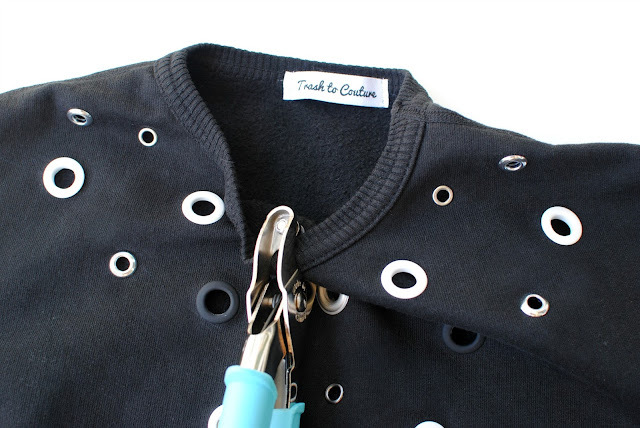 If you've been following Trash to Couture for awhile now then you know I love an edgy update using Dritz Eyelet Tools and Fashion Grommets amongst their other products. Some of my top DIY projects feature these. 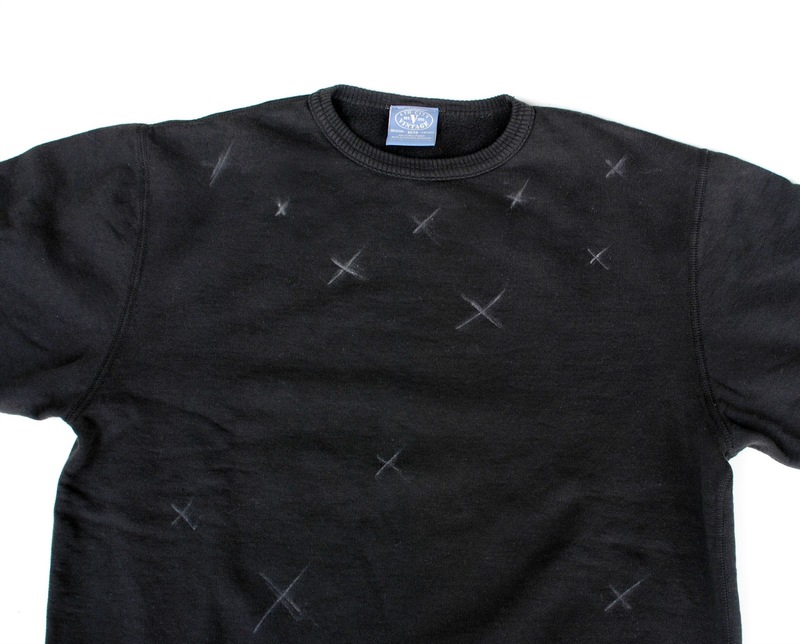 I was thrilled to partner with Dritz again on this original sweatshirt update. 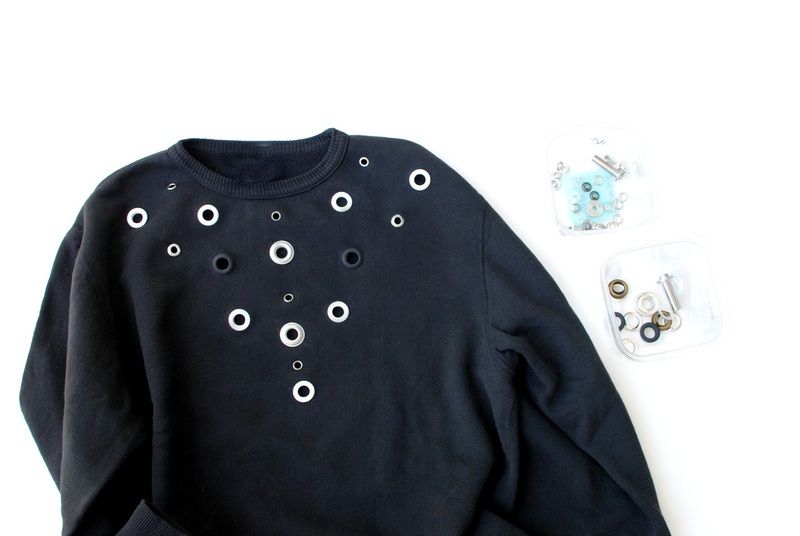 I usually prefer their Eyelet Pliers but they just released the Fashion Grommet Tools and Fashion Grommets that make it easy to create projects like this. 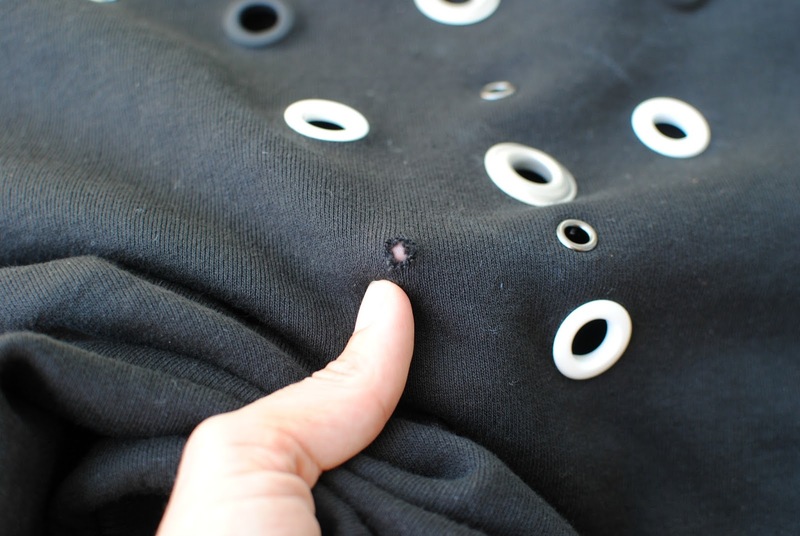 You can also apply the grommets anywhere on the project and not just on the edges. 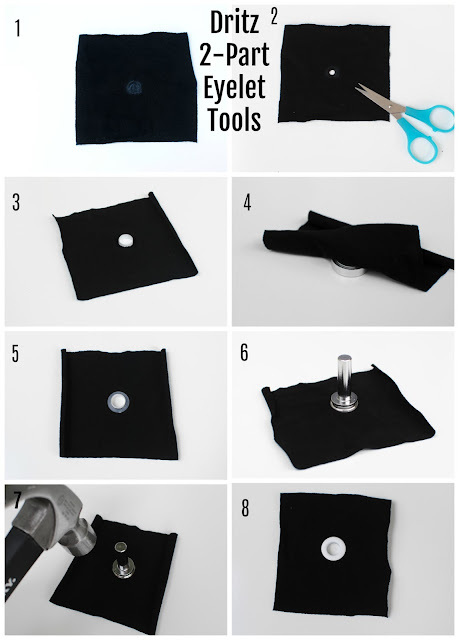 Initially, I was nervous to try the tool sets because it required a hammer but after practicing with a couple it was the easiest and most efficient way to apply them to the garment. You can also get these products in all different sizes and colors because one is just not enough! 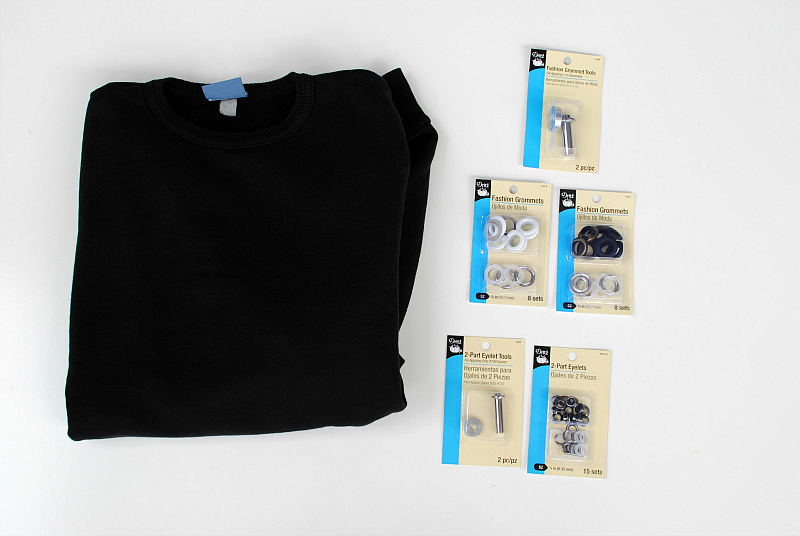 Follow the tutorial below to update a basic sweatshirt into this fashion-forward look. Begin by marking where you want the grommets to be. I used a large x and a small x to differentiate between size differences. 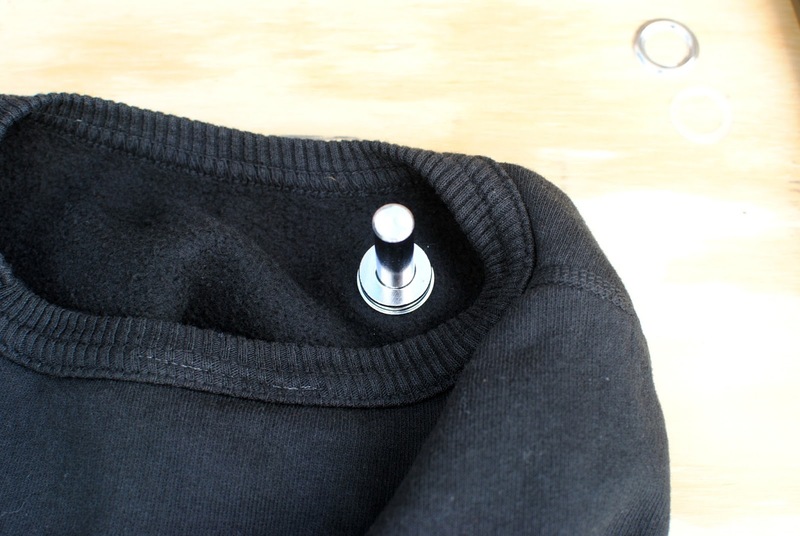 I also placed them on the sweatshirt to see where I wanted them before actually applying them and took a photo to remember colors. 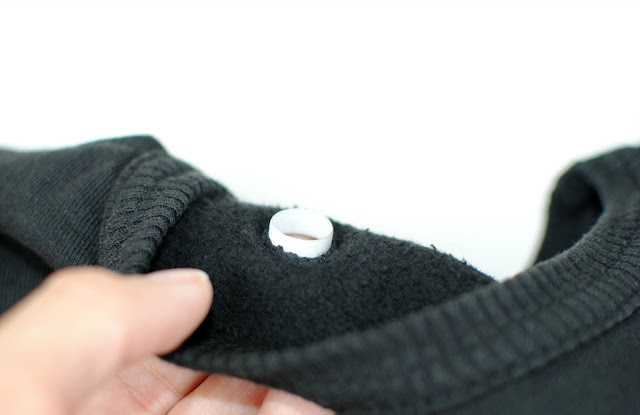 Cut a hole that is much smaller then the grommet diameter because the knit will stretch. 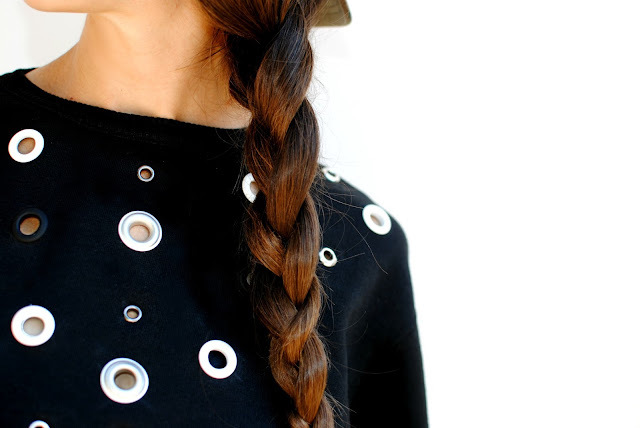 Place the Fashion Grommet through the hole. 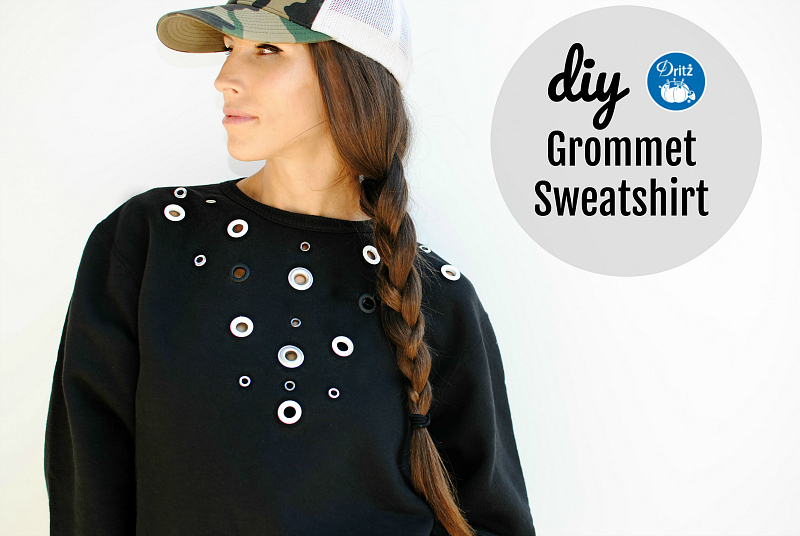 Use the 2-Part Fashion Grommet Kit according to the instructions above. Hammer 2 or 3 forceful taps. 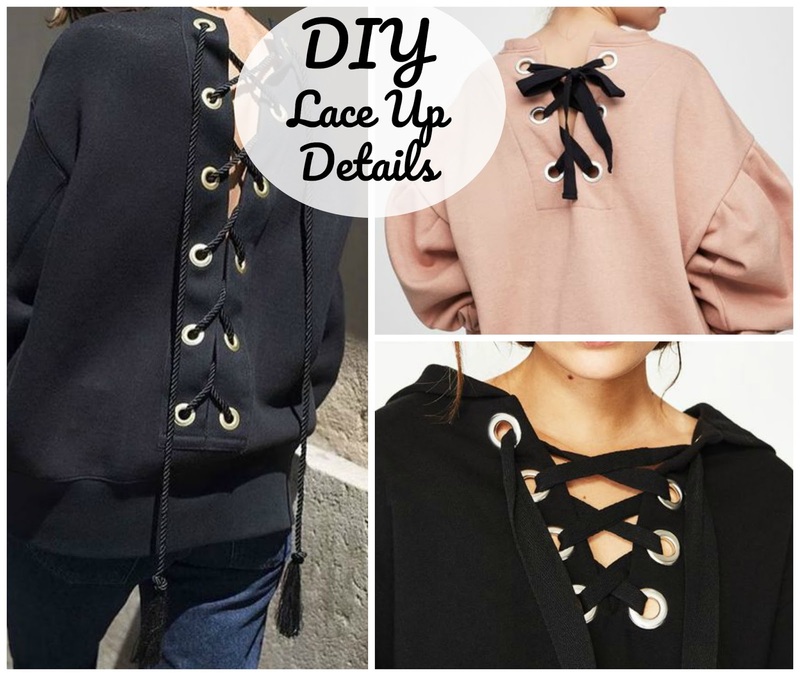 I did use the Eyelet Pliers around the collar to add some different size eyelets and colors. Continue until you get your desired result. As you can see I formed a v-neck look. I love how cool this looks and even got the "cool mom" approval! My 8 year old son asked if I could make him one :). I even did one on a tank top along the collar line. You can use these products so many different ways. Try a corset style detail in the back or even as a lace up collar. Search "Dritz" in my tool bar to see all the different tutorials we offer. I hope I inspired you to try these products by Dritz and add some originality to your basic garments. Love love love this!!!! 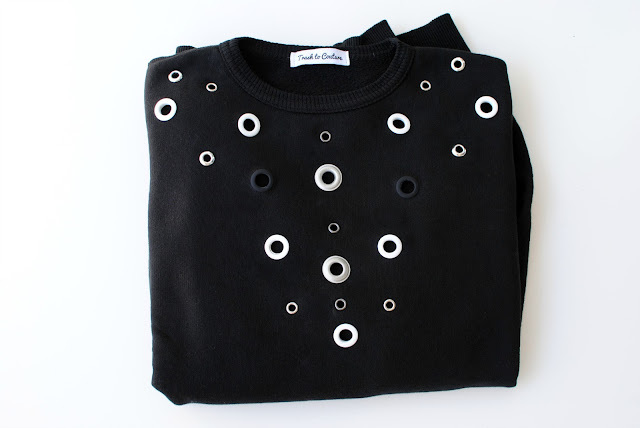 Great placement of the grommets. It's always interesting to discuss such things with friends. Moreover, I will write a kind of researches using advices I read on https://writemypaper4me.org/blog/research-paper-conclusion to make them smile. New thought this way. You are perfect at this. Being fashionable and trendy will never again be difficult especially when one can wear a sweatshirt like this and still look stunning.